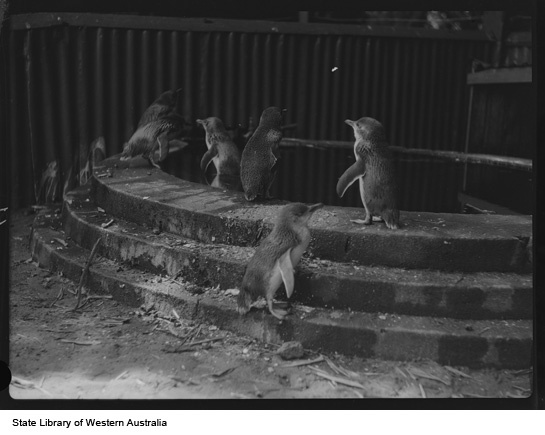 In June 1952 a bizarre death occurred at Perth Zoo. 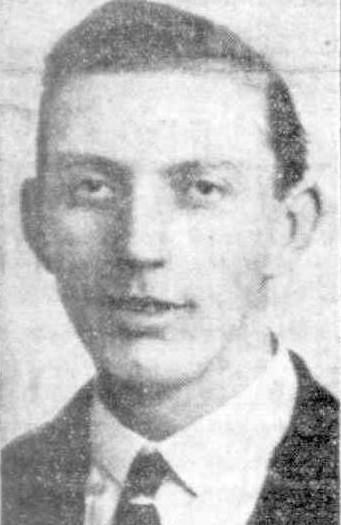 Alexander Lindsay Edmeades, of Snook Crescent in Hilton, had jumped into the lions’ den where he was attacked by the occupant. His badly-clawed body was found about 8 a.m. on the following day. Strangely, the 36-year-old clerk was not seeking to end his life but attempting to prove his faith in God. A few days before his death, Alexander had written a letter announcing his intention to fast for 51 days, which would save many thousands of souls in Australia. Alexander was suffering from schizophrenia, which had been triggered during World War II and his last-minute escape from Singapore. 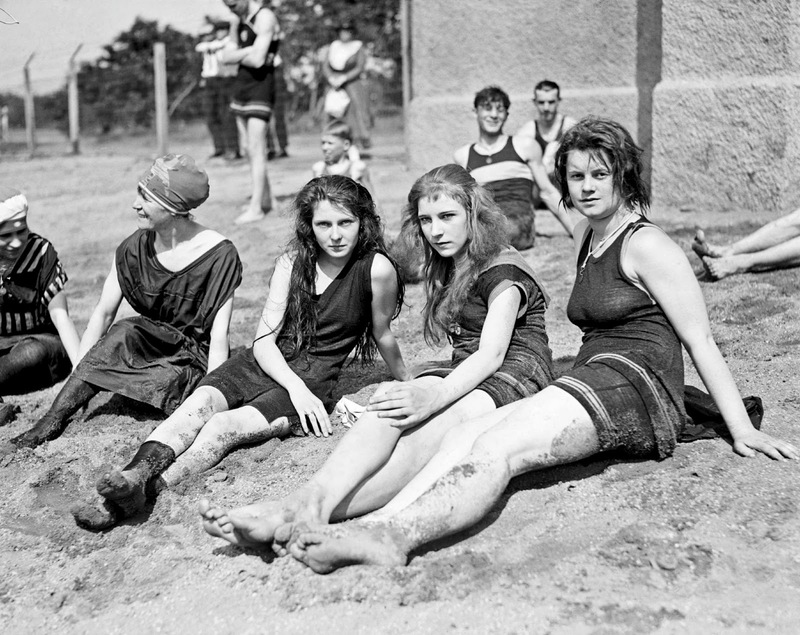 Before the war, there had been no signs of mental illness at all. And Alexander was not the first to be killed in the lions’ den. Just one year earlier Dorothy Bostock had also climbed the 18ft enclosure and jumped to her doom, only discovered the next morning. The coroner ruled that he did not believe Alexander’s motive was suicide, but a case of someone in the grip of a religious complex. Normal mental processes had been completely swamped by this mania. Alexander genuinely believed that, like Daniel, God would protect him and that his actions would bring people to salvation. “I would ask members of the public to take a generous view of this man’s action—and indeed of those of all people who take their lives,” the coroner added. Are you suffering from nervous tension or constipation? Then you need to visit Perth Zoo. 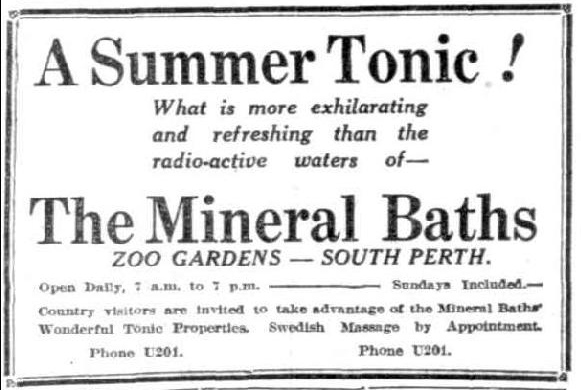 A choice of remedies were on offer, including a chance to bathe in radioactive water. But if that hasn’t cured you, fear not. A nice lady attendant will happily offer you an enema. Or if you want something stronger, how about a complete intestinal cleansing? In Perth Zoo. In 1950. Dodgy Perth wonders what the animals made of all this.